In UK, with the success of Sony Ericsson Xperia™ arc last month awarded with Europe’s best camera and product design they now unveiled the latest member of their family called Sony Ericsson Xperia™ Arc S. This was announced last week on Sony’s Press Conference in Berlin. This new sleek designed Sony Ericsson mobile phone is said to be expected sometime in October but it’s already been spotted in UK’s CLOVE official blog site where they offer interested buyers to get the new phones first hand. 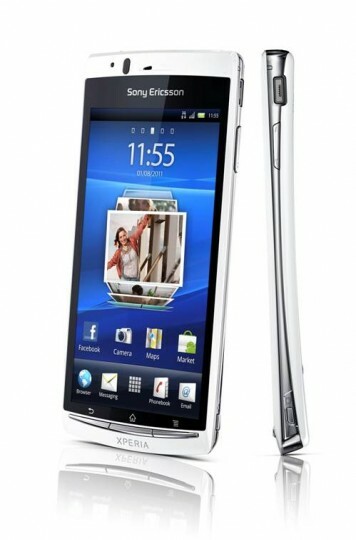 The Sony Ericsson Xperia Arc S’ main feature is it sports 1.4 GHz processor and the new features on photography called 2D/3D panorama. 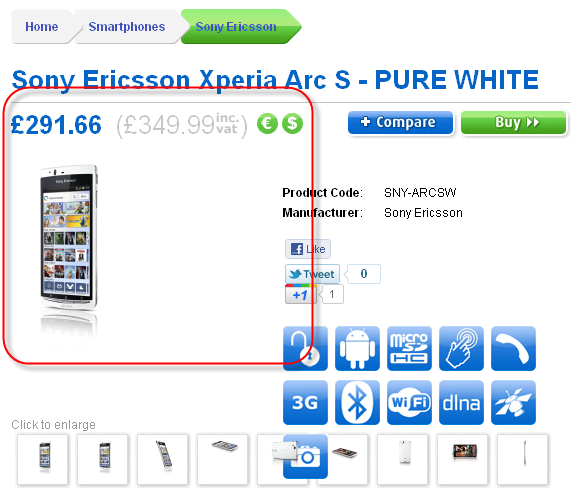 Clove offers Sony Ericsson Xperia Arc S at £291.66 or £349.99 (VAT Inclusive) on their online store and they have two available colours out of five – Pure White and Midnight Blue. In the Philippines, according to Sony Ericsson’s press release Sony Ericsson Xperia Arc S will be available globally before the end of 2011 and their target is on the last quarter of this year to be more specific. As for the price here in the Philippines, it might range from Php 17,315.55 to Php 25,000.00 – this is just a rough estimate based on how Clove is selling the product. Sony Ericsson Xperia Arc S is available in 5 different colors and design – Midnight Blue, Sakura Pink, Pure White, Misty Silver, and Gloss Black. The size is 125x63x8.7mm and weighs 117g with an OS of Google Android 2.3.4 also known as Gingerbread. And the processor is a 1.44GHz Qualcomm Snapdragon MSM8255.